Guitarist Robbie Krieger of The Doors has announced dates for a spring US tour. The set features a compilation of guest appearances by the guitarist on classic tunes alongside Jackson Browne, Hawkwind's Nik Turner, Asia's John Wetton, Styx's Tommy Shaw, Start Trek's William Shatner and others. 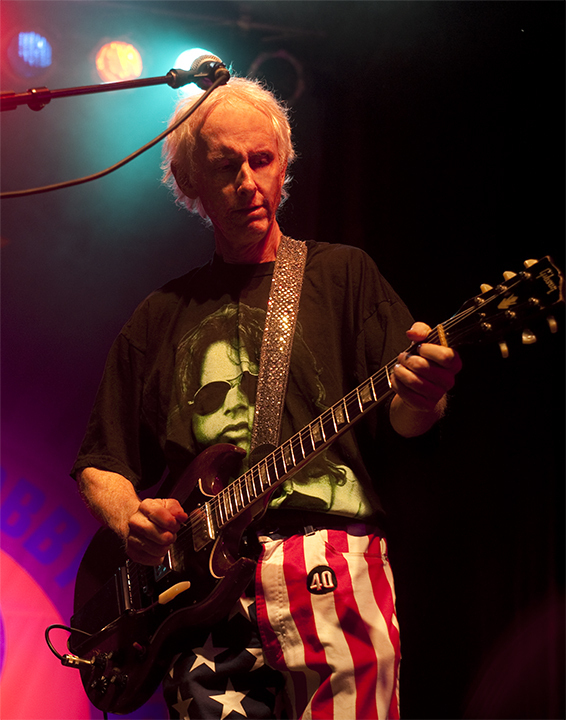 Krieger will be performing music from The Doors on the tour, where he’ll be joined by his son, Waylon, on lead vocals. Earlier this year, Krieger and drummer John Densmore marked the 50th anniversary of The Doors’ debut’s release at a special event in Los Angeles, CA. Joining the pair were family members of the late Ray Manzarek and Jim Morrison as the city honored the group by proclaiming January 4 as the “Day Of The Doors” during a public event at the intersection of Pacific and Windward Avenues, the location of the iconic “Venice” sign.